After a divine Spring 2018 campaign, you can’t blame Marc Jacobs for bringing back photographer Steven Meisel for another season. Sticking with the studio setting but darkening down the mood, the in-demand Meisel is joined by stylist Katie Grand (again) and models Anya Lyagoshina, Rianne van Rompaey, Nika Cole, Hannah Shakespeare, Remington Williams, Veronika Vilim, Sarah Abney, Sara Soric and Songhwa Oh for Fall 2018. 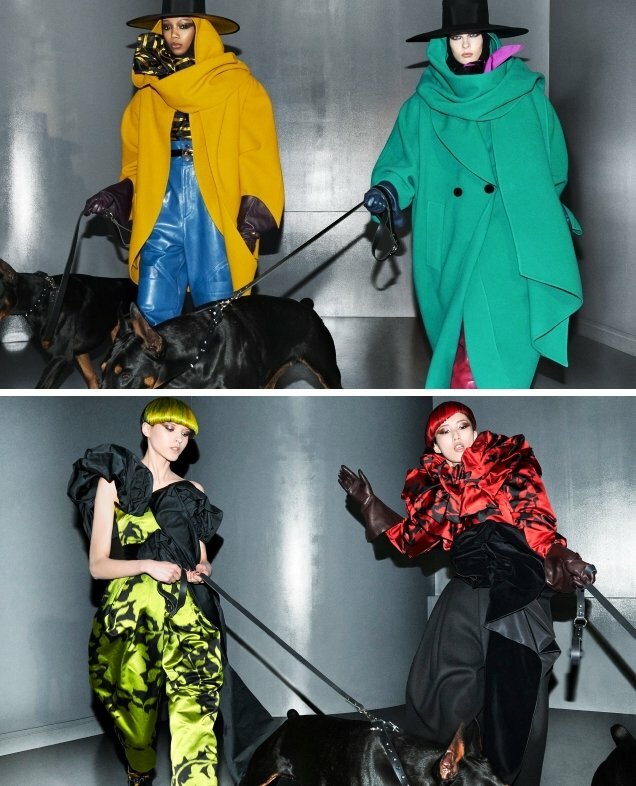 Working in pairs, the girls each handle a Doberman while wearing clothes from Jacobs’ 80s-inspired collection in the candid images. According to our forum members, something was seriously lacking. “The clothes look so unappealing. Meisel is known for making pieces look three times as luxurious so when this is the end result, you know you have a weird collection on your hands,” pointed out dodencebt. “Not remarkable at all. If your company is in red you should find a way to make it relevant and these ugly haircuts are certainly not enough,” added apple. “Unfortunately for these girls, the wacky haircuts have stripped them of any sort of impact or identity,” said bluebanter. Also quick to question the casting was forum member guimon. “I was truly excited and looking forward to seeing Meisel shooting this collection, but this is such a letdown so far. I was expecting something completely different and more creative. I can’t stand this irrelevant cast,” he complained. “Imagine someone like Kristen McMenamy fronting this campaign, donning these hideous clothes. Even the thought of it makes me think of how remarkable the images would be,” voiced Ken Doll Jenner. See more campaign images and join the debate here.